Today is International Women’s Day – a day where women are celebrated and their achievements highlighted. This year, we’re celebrating the 25 incredible women who have been nominated for a 2018 Olivier Award with Mastercard. From leading actresses to directors, dancers to set designers, outstanding creatives and performers from all over the West End are being acknowledged for their accomplishments in London theatre. And here’s a closer look at the spectacular women in the running for Olivier Awards. 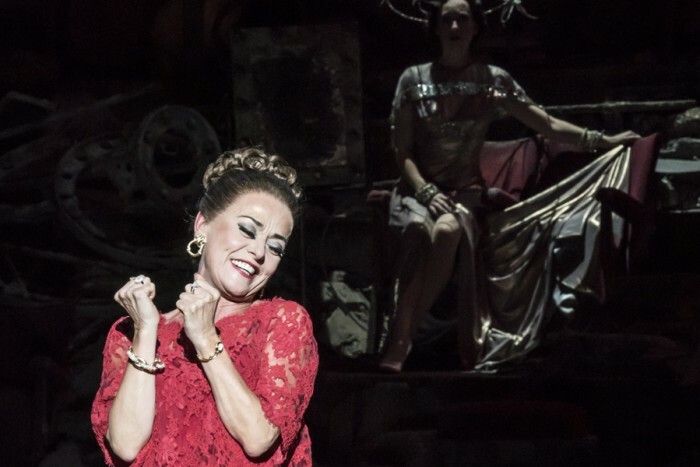 Tracie Bennett is nominated for Best Actress in a Supporting Role in a Musical for her turn as Carlotta in Follies. She has performed in Les Mis, Hairspray, Carousel and Chicago to name but a few. She’s about to star in Ruthless! The Musical at the Arts Theatre. Tracie’s extensive stage and screen career has seen her win many awards including two Olivier Awards. She’s also received four further Olivier Award nominations and a Tony Award nomination. Laura Donnelly is nominated for Best Actress for her turn as Caitlin in The Ferryman. 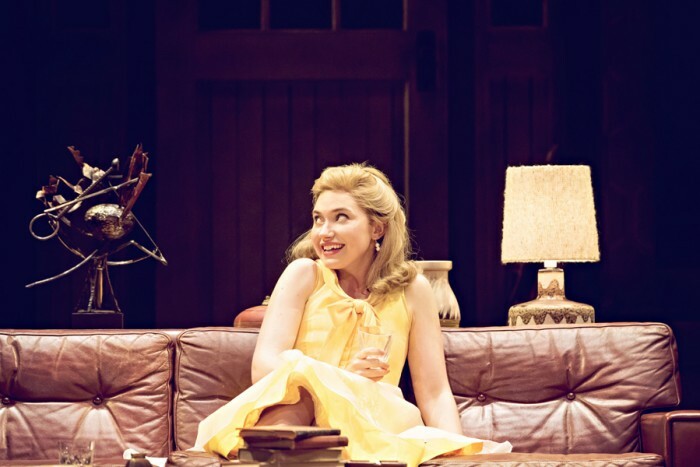 Playing the young widow is quite a feat as the character is on stage for almost the entire show – which is over 3 hours long – and the performance garnered Laura much praise from critics. The Northern Irish actress’s real-life experiences inspired Jez Butterworth to write the play, giving her character even more authenticity. Lesley Manville is nominated for Best Actress for her role as Mary Tyrone in Long Day’s Journey Into Night. Starring alongside Jeremy Irons, Lesley gives an impeccable performance which critics have called emotionally pulverising. Lesley comes fresh from being nominated for an Oscar for her role in Phantom Thread. The actress has also won the Olivier Award for Best Actress in 2014 for her role in Ghosts, and she was nominated for an Olivier Award for her role in Grief in 2012. Josie Walker is nominated for Best Actress in a Musical for her role as Margaret New in Everybody’s Talking About Jamie. 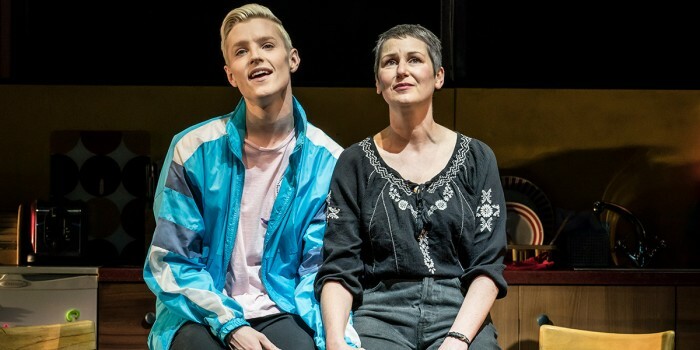 Josie originated the role of Jamie’s supportive mum when the show premiered in Sheffield, before coming to London’s West End to continue playing Margaret. She has worked with the National and RSC for many years, and was previously nominated for an Olivier Award in 2001 for her role in The Beautiful Game. Lesley Joseph is nominated for Best Actress in a Supporting Role in a Musical for her role of Frau Blucher in Young Frankenstein. Known to many as Doreen, Lesley has been entertaining the masses for decades. And her turn in Young Frankenstein is no different. The comedian frequently treads the boards but this is her first Olivier Award nomination. Sheila Atim is nominated for Best Actress in a Supporting Role in a Musical for her role of Marianne Laine in Girl From The North Country. The model, singer and actress has been blowing audiences and critics away with her performance in Conor McPherson’s musical. She’s even been described as singing Dylan better than Bob – which is quite the accolade. This is the first Olivier Award Sheila has been nominated for, but we’re sure it won’t be the last. Bríd Brennan is nominated for Best Actress in a Supporting Role for her turn as Aunt Maggie Far Away in The Ferryman. She’s been acting since 1980 and has earned a Tony Award and Drama Desk Award in the past. This is her third Olivier Award nomination having been nominated for her role in Rutherford and Sons in 1995 and The Little Foxes in 2002. 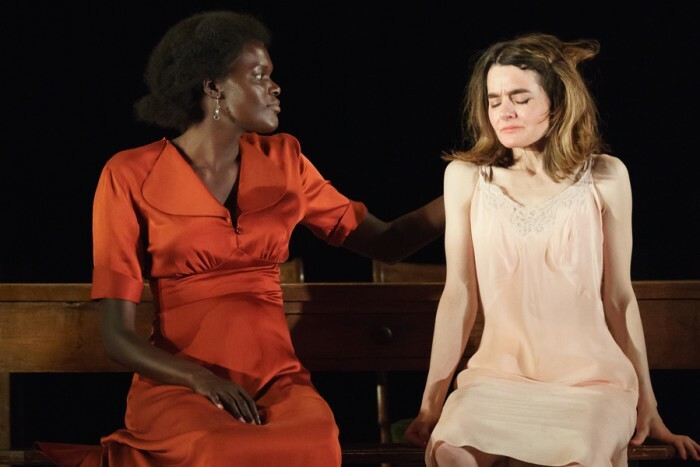 Shirley Henderson is nominated for Best Actress in a Musical for her role of Elizabeth Laine in Girl From The North Country. The Scottish actress is well-known for her role as Gail in Trainspotting and Moaning Myrtle in the Harry Potter series. Shirley’s had an extensive career in TV, film and theatre but this is her first Olivier Award nomination. Kate Prince is nominated for Best Theatre Choreographer for Everybody’s Talking About Jamie. She’s the director and founder of dance company, Zoonation. She is the creator of the works Into The Hoods and Some Like It Hip Hop. She’s also an associate artist at Sadler’s Wells and has worked with the Royal Opera House. Kate was nominated for an Olivier Award in 2009 for Into The Hoods. Dearbhla Molloy is nominated for Best Actress in a Supporting Role for her turn as Aunt Pat in The Ferryman. The Irish actress’s performance as the hard-faced and politically minded Aunt Pat gave audiences chills. Something Dearbhla is used to, seeing as she was nominated for a Tony Award last year. This is Dearbhla’s first Olivier Award nomination. Rachel John is nominated for Best Actress in a Supporting Role in a Musical for her role of Angelica in Hamilton. 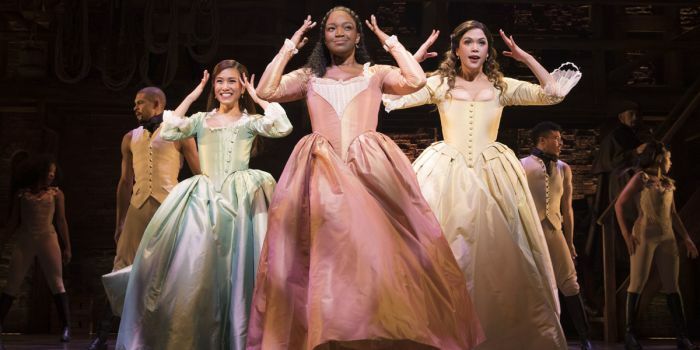 Taking on the of a Schuyler sister is a tall order. With the world watching, Rachel had a lot to live up to – and she knocked it out of the park. Her performance as the smart, beautiful, rapping gentlewoman has won her rave reviews and her first Olivier Award nomination. Marianne Elliott is nominated for Best Director for Angels In America. The highly-anticipated, sold-out, two-part drama was in safe hands with Marianne. Her career reads like a Broadway and West End greatest hits. Her credits include War Horse and Curious Incident Of The Dog In The Night-Time among many other incredible productions. She’s won two Tony Awards and two Olivier Awards and has many other awards to her name. Audra McDonald is nominated for Best Actress for her turn as Billie Holiday in Lady Day At Emerson’s Bar & Grill. She’s a Broadway legend. Having won six Tony awards (which is more performance wins than any other actor), five Drama Desk awards, and two Grammys, Audra is one of the most decorated theatre performers in the world. She made her West End debut with Lady Day landing her first Olivier Award nomination. 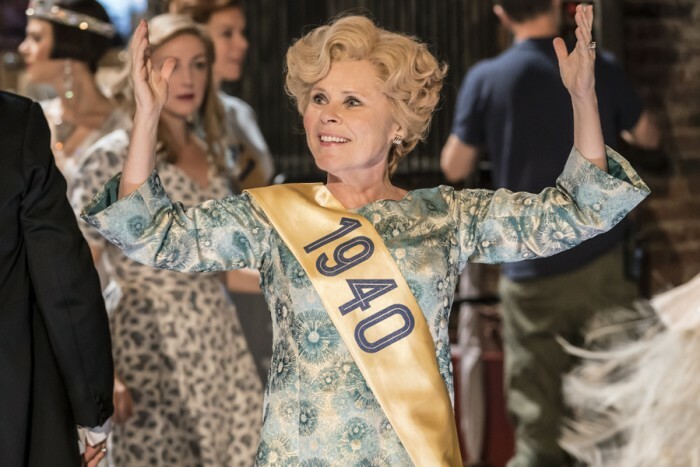 Imelda Staunton is nominated for Best Actress for her role as Martha in Who’s Afraid Of Virginia Woolf?, and Best Actress in a Musical for her role as Sally in Follies. A verifiable legend of London theatre, Imelda has been wowing audiences and critics in the West End since 1982. The master of both drama and musicals, Imelda has been nominated for a massive 11 Olivier Award nominations, 4 of which she’s taken home. Joyce DiDonato is nominated for Outstanding Achievement in Opera for her performance in Semiramide. She’s an American operatic singer who has won multiple awards including Grammys for her solo recording Diva Divo and album Joyce & Tony. This is Joyce’s first Olivier Award nomination. Daniela Barcellona, along with Joyce DiDonato, is nominated for Outstanding Achievement in Opera for her performance in Semiramide. The Italian mezzo-soprano made her Royal Opera House debut in 2013 and has an incredible career ever since. This is Daniela’s first Olivier Award nomination. Denise Gough is nominated for Best Actress in a Supporting Role for her turn as Harper in Angels In America. She’s had an explosive career having taken roles in People, Places And Things and Angels In America in both the West End and Broadway. Her stage career only started in 2012, but this is Denise’s second Olivier Award nomination – the first was in 2016 for People, Place And Things which she won. Imogen Poots is nominated for Best Actress in a Supporting Role for her performance as Honey in Who’s Afraid of Virginia Woolf? Starring alongside Imogen Staunton, Imogen blew everyone away when she took on the iconic character in Edward Albee’s tense play. This is Imogen’s first Olivier Award nomination. Bunny Christie is nominated for Best Set Design for her work on Ink. The Scottish set designer has won multiple awards for incredible productions including A Streetcar Named Desire, The White Guard and The Curious Incident Of The Dog In The Night-Time. Amassing two Tony awards, three Olivier Awards and two further Olivier Award nominations, Bunny’s work is some of the most celebrated in the world of theatre. Vicki Mortimer is nominated for Best Set Design for Follies and Best Costume Design for Follies. She’s designed over 25 productions for National Theatre. For Follies, she not only designed the extravagant set, she was also responsible for 160 costumes, 62 headdresses, and 129 pairs of tap shoes. Vicki received an Olivier Award in 2008. Paule Constable is nominated for Best Light Design for both Angels In America and Follies. She’s worked on everything from Les Misérables to War Horse. She’s lighting designs are used by Royal Shakespeare Company, the Donmar Warehouse and the Royal Court Theatre to name but a few. She’s worked extensively with National Theatre and Royal Opera House. Among her numerous awards are two Tony Awards and four Olivier Awards. She’s also been nominated for four further Tony Awards. Janie Dee is nominated for Best Actress in a Musical for her role as Phyllis in Follies. She’s been performing in the West End since 1982. She’s been in everything from Sound Of Music to Calendar Girls. She’s won two Olivier Awards and was nominated for a further two in 2013. 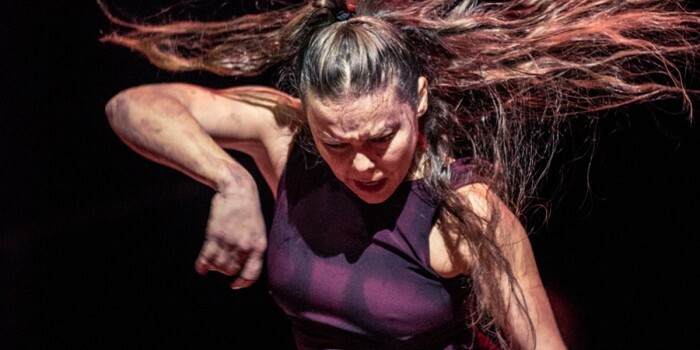 Rocío Molina is nominated for Outstanding Achievement in Dance for her performance in Fallen From Heaven (Caída Del Cielo) for Dance Umbrella. She’s a Spanish dancer that has been pushing the boundaries of flamenco dancing for the past 12 years. She’s received multiple awards throughout her career and was nominated for an Olivier Award in 2015. Francesca Velicu is nominated for Outstanding Achievement in Dance for her performance in Le Sacre Du Printemps. She’s an up-and-coming Romanian ballet dancer whose debut performance for English National Ballet was just last year. This is her first Olivier Award nomination. Zenaida Yanowsky is nominated for Outstanding Achievement in Dance for her performance in Symphonic Dances. The French-born Spanish ballet dancer has been in internationally renowned companies including Lyon Opera Ballet, Paris Opera Ballet and Royal Ballet. She’s won many medals and accolades before retiring in 2017. This is her first Olivier Award nomination. You can view the full list of Olivier Award 2018 nominees here.